Though Neill Blomkamp has moved on from his Alien 5 project, it would seem James Cameron is not quite ready to let it go! While on the red carpet of Alita: Battle Angel, IGN (via The Terminator Fans) had the chance to ask James Cameron (who produced Alita along with Predators’ Robert Rodriguez) about the upcoming Terminator 6 and Blomkamp’s Alien 5. Sir Ridley Scott was actually attached to produce Alien 5 with Blomkamp, but Cameron had seen Blomkamp’s script and described it as “gangbusters.” Though far from any form of confirmation, it sounds like Cameron may be stepping up to bat for Blomkamp’s Alien 5 after the project fell apart in 2017. Thanks to our own Xenomorphine for the news. Keep a close eye on Alien vs. Predator Galaxy for the latest Alien news! You can follow us on Facebook, Twitter and Instagram to get the latest on your social media walls. You can also join in with fellow Alien fans on our forums! My big issue with Marshall is whenever he's given a big budget his films stop being good. But Sean Pertwee is expensive, man - what's he to do! Need to see that again. Wasn’t completely satisfied by it when I saw it, but I enjoyed it overall and it had some very interesting ideas. Think it’s one of those films that benefits from repeat viewings. Would definitely be interested to see what Danny Boyle would do with it. A neurotic xeno is the one thing we’ve been missing. 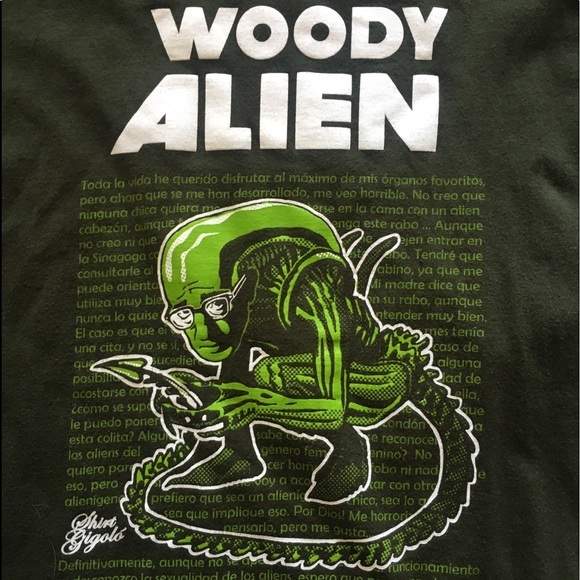 I’m still holding out for a Woody Allen Alien film. With the Xenomorph inexplicably falling in love with the obligatroy self-insert character? I think we should get John Favreau to remake the first one. He can have big chap hold jonesy up like Simba. The only two people from that list who might be a good choice are Mangold and Boyle. I want David Twohy (Pitch Black, Riddick) or Peter Hyams (Outland, 2010, The Relic). Yeah, would love to see what he does with it. Neil Marshall would be amazing. Neil Marshall would be good for Aliens 2 I think. (If not NB who I agree the jury is out on... but if not for his concept, this conversation wouldn't be happening). Agreed. He's a director I'd love to see make an Alien film. I hope he directs an entry someday. Would love for James Cameron to get behind the camera one more time too. I like both of these options but I'm very willing to give Neill Blomkamp a chance just for that concept art and Aliens 2 idea. Yah, mostly I agree. Mostly. I am not digging Ripley on the Alien costume. Brat rat isn't going to be Directing anything, in this lifetime, maybe something on lifetime. I think thats the one with Hugh Jackman. And Gyllenhall, hence the confusion. 2049 had some nice juice, I reckon he'd turn it up to 11. Yep, yet another awesome film. Denis is a freak of nature. Does he have the juice? Disregarding Sicario and arrival , BR 2049 was more than enough proof for me that he has what it takes . He is as close as we are going to get to old school Ridley Scott ever again . And the industry is fortunate to have a director of his style and abilities. If we ever get to see another alien film in the spirit and quality of the original , it will be because he was involved. Enemy has Gyllenhaal as well. I actually enjoyed Enemy more than his other movies. Maybe I'm weird, but I thought Enemy was almost a perfect movie. Almost. Arrival kind of lost the logic at the end but was otherwise pretty good too. The direction was phenomenal either way. That's the one with Jake Gyllenhaal, yeah? Fantastic film. God no, I think Villeneuve is very overrated. The only great movie from him is Sicario. Speaking of James Cameron...it would seem he is under fire. I just hope it won't be something that will be used to prevent a good alien movie.The smallest of things these days can be blown up to untold proportions over nothing. It sounds like having a great deal of dismay at not being able to do a poo. You can be consternated about being constipated! It's a word! "To consternate" is the infinitive, "consternating" is valid, and so is "consternated", which is just fun to say but might give the listener the impression you've got bowel problems. "Consternation" is the most common form of the word in English, but all of its other variants are totally real. Yeah I don't know how necessary it was. Verbosity has its place, in doses. It is common in French. "Consternant". I hesitated to use it in English, but checking with Google it seems to be understandable, albeit not an usual part of English syntax (if I get things right).